The Fang is the Bantu-speaking ethnic group living in Gabon, Cameroon and Guinea. The "Ngil" was a society (as group of people) of a judicial nature. Its purpose was to search and put out of harm's way every person affected by an evil spirit. This mask has the form of a highly stylized human face which enhances its aesthetic abstraction power. 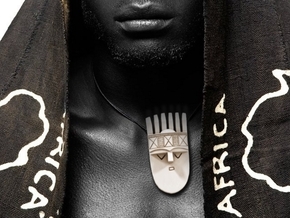 The elongated heart face, the bulged forehead and the ritual scarifications are characteristic of this type of mask from the Ngil society. ATTENTION! 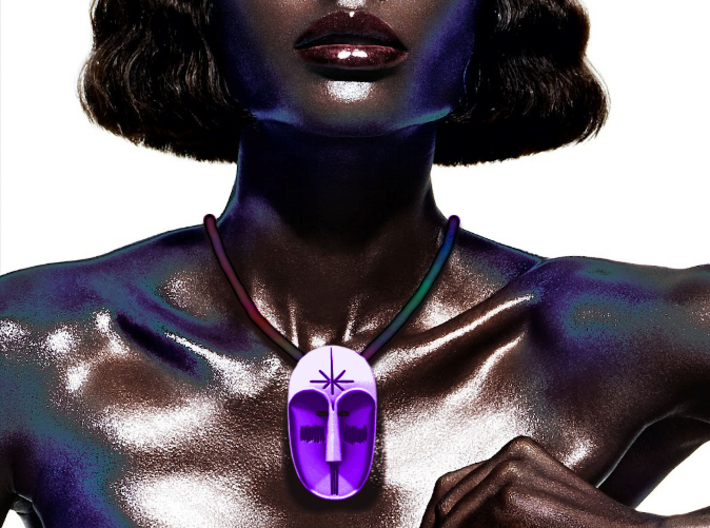 The photo showing the pendant worn by a model is for illustration purpose only. Once printed the object may be slightly bigger or smaller. Prior to place any order please check the object actual dimensions specified right below.